The last two years I have been involved in the marketing of a new startup: The HappinessBureau. Its mission is to make Happiness at Work the norm. In this article, I would like to show the 7 main aspects of our approach we’ve used and are still using in our marketing strategy. Fortunately, Happiness at work expert is considered to be a profession of the future. But there aren’t many educational trainings to become one. So the HappinessBureau developed one. And when asked by a University of Applied science, we developed it into an official six-day educational course. When the biggest HR publisher in The Netherlands informed about a giving a presentation at one of their conferences, we asked about publishing possibilities. Two months later a book contract was signed. As a combination of the people you know and create opportunities, we thought it should be fun to sponsor an Olympic Athlete. Dutch archer Sjef van den Berg qualified for the Olympic Games and kept the Dutch people in front of their TV’s to see him take the 4th place in Rio di Janeiro. We’ve sponsored him and made a video. The cameraman was a friend from elementary school, talking about using your inner circle J. It’s hard to measure what it did for us, but it was also about doing good and have fun while doing it. Someone asked if she could become a partner. Of course she could and we developed a partnership program which has grown to 22 partners and still counting. Recently we had our first meet-the-partners-event. The same applies to workshops. In the beginning Gea sometimes conducted workshops (almost) for free, not knowing of this would lead to any follow up opportunities. And sometimes it did and sometimes it didn’t. In this stage of the company, we hardly ever turned down requests. As in each business, focus and persistence is very important. We have two news sites and we notice it directly in our statistics if on a certain day (or week), we don’t publish an article or don’t highlight an article on LinkedIn. For 2018 we’re making a content calendar to bring even more focus in what we want to publish on the sites, and see when we can combine news with e.g. events. We will use chapters of the book that will be published to share information and promote the book at the same time. For the third Happy People – Better Business event on 20 March 2018, we will interview speakers for relevant news and for promoting the event. But without a formal team of editors it will remain difficult to have news and information on a regular basis. We haven’t found a good solution yet how to attract new editors and keep the expenses low. In the last months, we have developed several new services, like surveys. 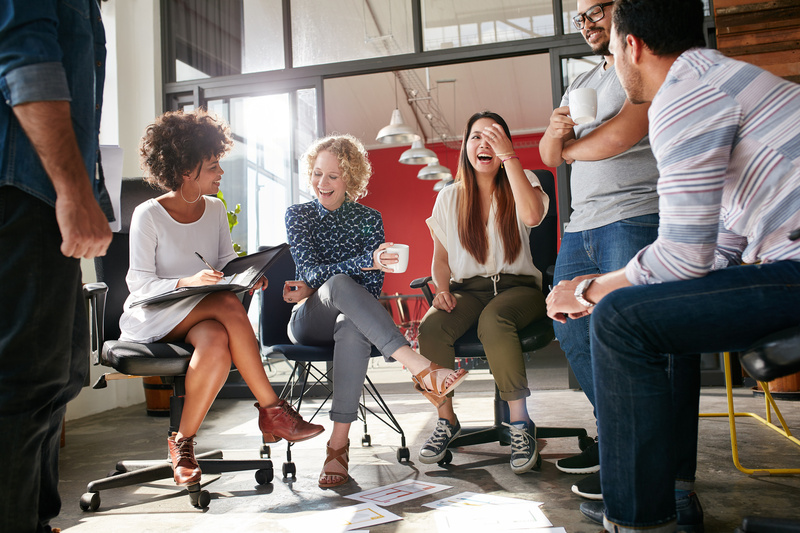 With some personal experience in research and focus on online surveys, it was easy to set up two surveys: one about Happiness at Work from the perspective of the employee and another one focusing on how the organization can facilitate happiness at work. Solid questionnaires that we combine with a new developed set of action based tools (we call Happiness at Work Boosters) that can be tailored depending on the results of the surveys. Insights almost automatically transfer into daily actions. Multinationals are using it and the research benchmark is growing. The research part is in fact growing so fast that we are teaming up with a research company, off course someone we know. I played volleyball with the ceo for many years. So the lesson here is to develop new products and services when you see possibilities, be able to deliver them and make sure you can provide them to your customers with quality and relevance. Being relative new to the field of Happiness at Work, we found out that it is really easy to connect with experts in the field. I guess the nature of Happiness at Work helps here :). We have invited Alexander Kjerulf to our first event, invited him back for a 1 day workshop and organized a combined workshop with him in Suriname and on Curacao. As part of the European tour, we’ll visit Austria in January 2018. In Las Vegas, we did the Zappos tour and interviewed our tour guide and Culture Maestro Ryo Zsu. We sent Tracy Maylett a tweet, co-author of the bestseller ‘The Employee Experience: How to Attract Talent, Retain Top Performers, and Drive Results’, if we could interview him. Off course we could. 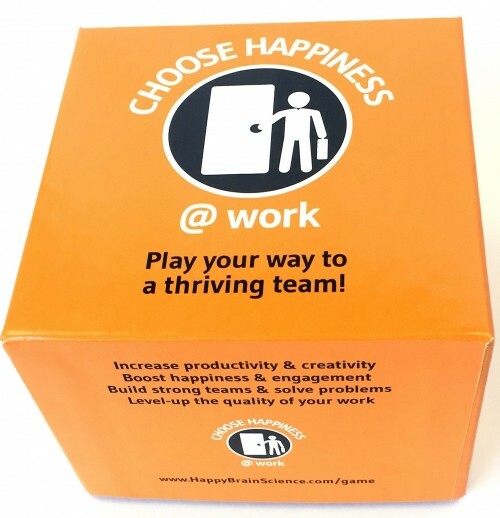 Are you working in the field of Happiness at Work? Let me know how you market your business!